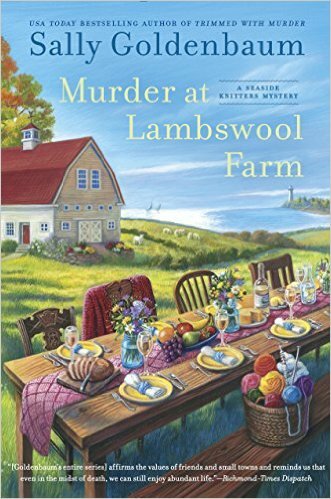 Murder At Lambswool Farm, Final Review For May. 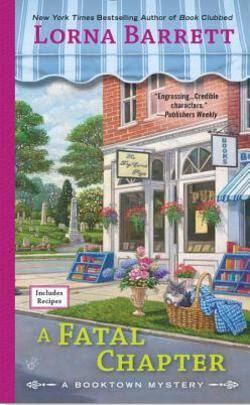 Another day and the newest Sally Goldenbaum Cozy to share. Murder at Lambswook Farm has yet another beautiful cover, a perfectly set table, farm just behind it and a light house all the way to the right, yes I think I could hop right into the cover don't you? 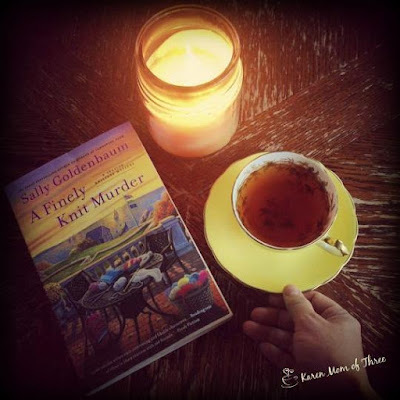 Readers of the Seaside Knitters Mystery are in for a delightful treat with the 11th book in the series Murder at Lambswool. 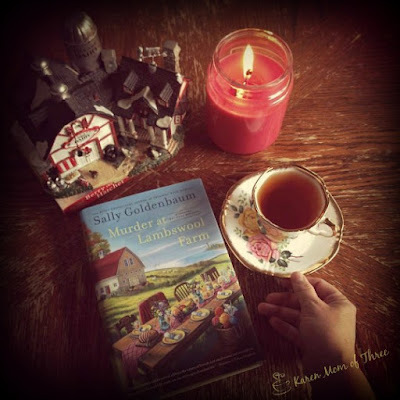 So many characters, a very interesting plot, readers are sure to delight in Murder at Lambswool Farm. Seaside Knitter Birdie Favazza has long loved knitting, but lately she’s taken on a new challenge—making a family farm operational again. With help from friends, Lambswool Farm is now up and running, with thriving crops and grazing sheep. In addition, the farm will host rustic, six-course prix fixe dinners plated by local chefs and served on a gorgeous restored harvest table, decorated to perfection with colorful knitted vegetables crafted by Izzy Chambers Perry, her aunt Nell, and the other Seaside Knitters. But on the night of the first meal, everything spins out of control when one of the guests, Seaside Harbor’s family physician, becomes fatally ill. It seems that behind Dr. Alan Hamilton’s friendly bedside manner was a man with enemies and secrets. Soon the town is gossiping and pointing fingers at all possible suspects—including the women at Lambswool Farm. 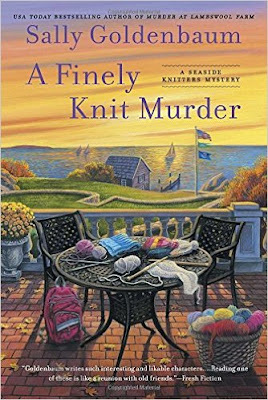 Now the Seaside Knitters must join together to uncover the truth in Dr. Hamilton’s complicated past—and restore peace to town and country alike. To order your own cop of Murder at Lambswool or to learn more about this series please click here. Sally Goldenbaum writes one of the most detailed and descriptive series, set in one of the most picturesque places one can imagine. A Finely Knit Murder is the first of the series I have ever taken a look at and the cover is stunning. It actually makes one want to get up with the sun just to see these colors with their own eyes! I was surprised and thankful to find a list of the characters, a cheat sheet of sorts, to help navigate the sea of personalities in this story. 47 new to me characters, simply mind boggling! This book is written in a style like no other cozy I have ever read. Birdie Favazza’s granddaughter, Gabby, loves attending the local Sea Harbor Community Day School. She’s also excited that Birdie and her fellow Seaside Knitters are teaching their craft to the students by knitting hats for charity. Unfortunately, not everyone shares her enthusiasm. Outspoken board member Blythe Westerland has sparked tempers with her determination to discredit the current administration and its new, progressive curriculum. But then, on the evening of an elegant school event, Blythe’s body is found near the school boathouse.With a killer on the loose, the Seaside Knitters must unravel the layers of Blythe’s complicated life and stitch together the evidence to see whether a murderer has been walking beside them all along . . .
Strong mystery, amazing location and a very developed series to dive into! 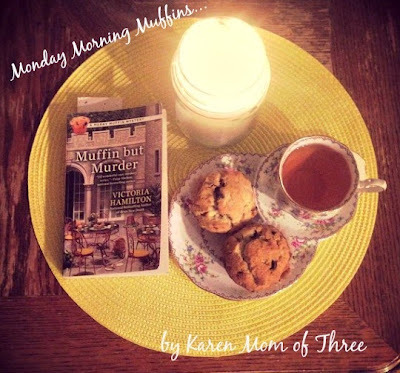 Click here to order your own copy of A Finely Knit Murder from Amazon. 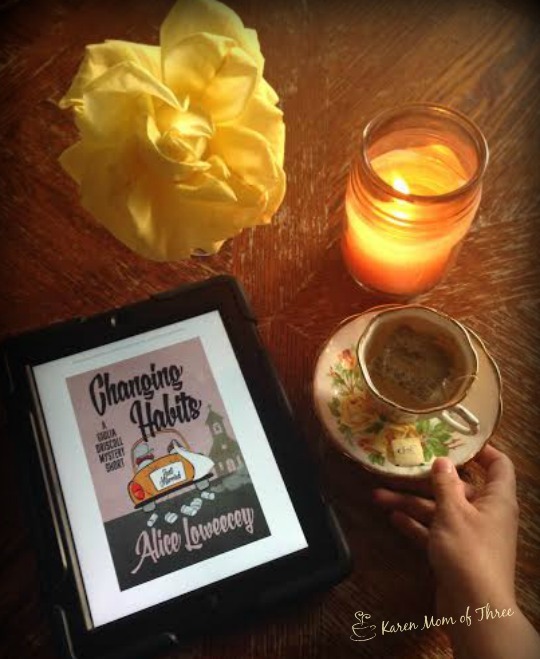 This past week I have not been fortunate to have many books on my table, however this short story Changing Habits by Alice Loweecey truly hit the spot. 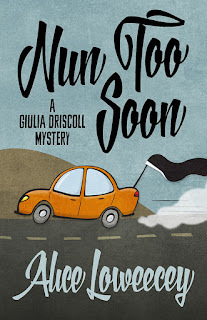 Tuesday night after not having my mail for the second week (though my husband did get two packages he was waiting one) I turned to the wonderful kindle app and downloaded (for Free at time of posting) this Giulia Driscoll Mystery. 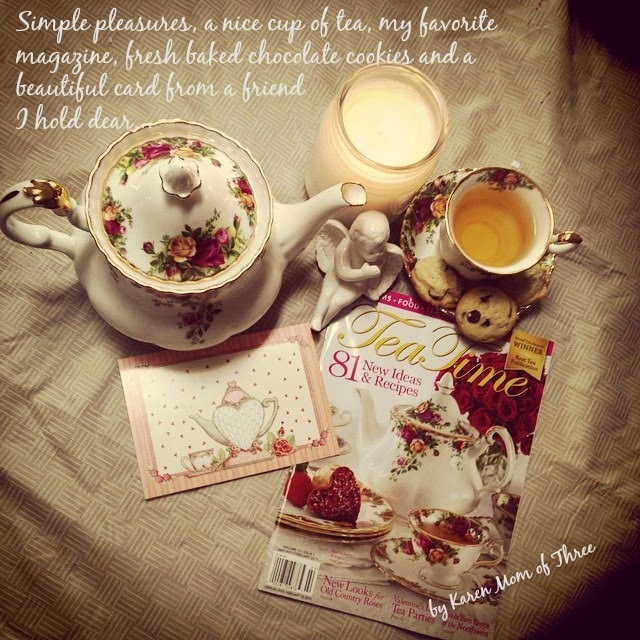 It was outstanding, delightful, funny and warm, cozy for sure. 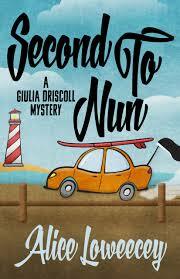 Alice writes with quick wit, from a place of humor, understanding, love and faith. 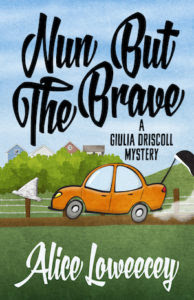 The day Giulia Falcone jumped the wall—that’s code for leaving the convent—her sole possessions were the clothes on her back. 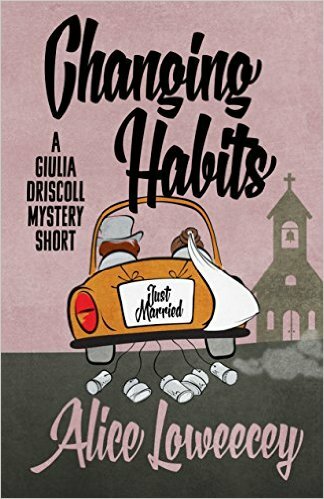 Four years later, she’s an official Private Investigator juggling a rash of church vessel thefts and her complete inability to find a wedding gown that doesn’t require her to steal a gold chalice for herself. She’s about to marry her boss despite all the advice about office romance. Giulia is a champion multitasker. The Church is on her back to find the thief. Her all-natural co-worker is insisting she walk down the aisle to the soundtrack for The Sound of Music. Her fiancé’s relatives are overwhelming her with plans and advice and excitement. Piece of cake. She can find the clue that unmasks the thief. She can keep an eye on the music. All she needs is a wedding gown for her own wedding. In four days. What could possibly go wrong? 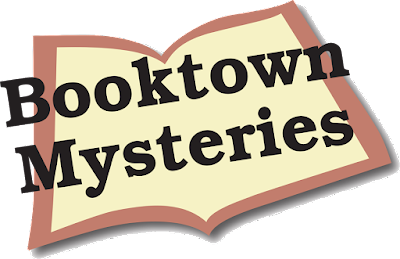 Related subjects include: cozy mysteries, women sleuths, humorous murder mysteries, mystery novella series, private investigator mystery series, whodunit short stories (whodunnit), murder mystery series, short stories, mystery short stories. Such a delight to have this short story on my table and oddly enough I pared this book with a tea called Choice, an organic chamomile and spearmint tea. 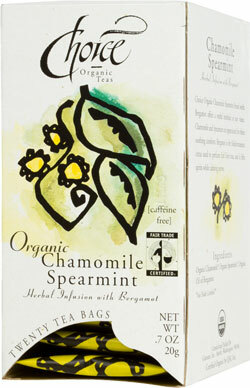 The tea was the perfect blend of mint and chamomile, refreshing for this muggy spring night and calming just the same. 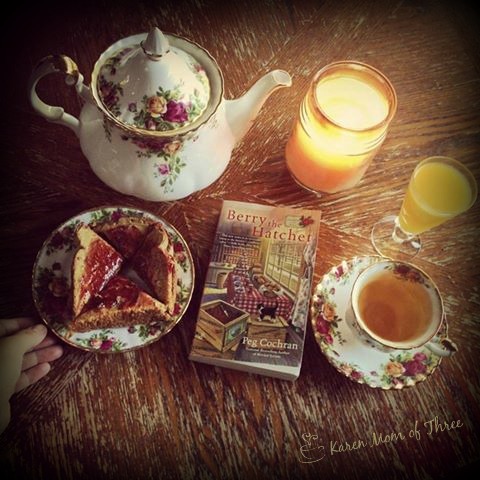 Knowing little about this series and Alice Loweecey personally, I find this tea to be quite ironically perfect to pair with this story. Life is about the choices we make, the risks we take and the quality of the time we choose to spend with others. To learn more about Alice and her writing visit her author website by clicking here. I was extremely delighted to find Alice Loweencey's Changing Habits, short story for my kindle app after no mail from the mail man (no books or packages for me in more then a week!) on Tuesday and my review will be posted here tomorrow. 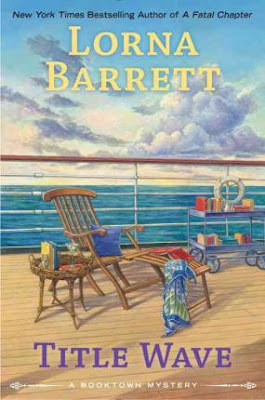 I was thrilled to have Lorna Barrett stop by for a visit, her work is truly amazing and having her books in hardback is a real thrill for me, I splurge on them not wanting to wait for the paperback versions to come out. Also arrived this Wednesday, books to keep me busy through the weekend and into the next week or two. 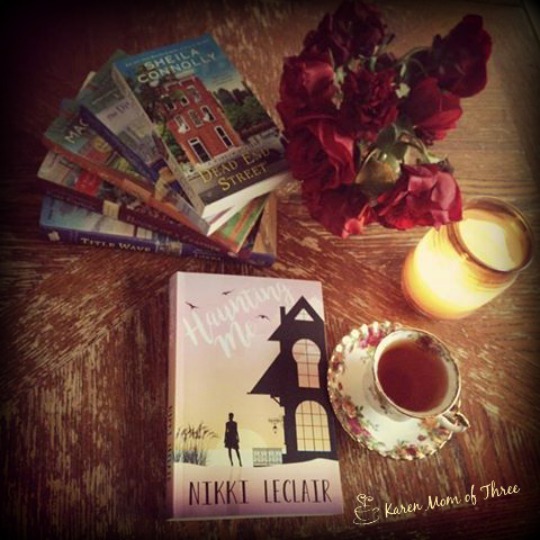 I finished Nikki Leclair's Haunting Me and will share my review in the next week as well. Some fabulous reads on this table! 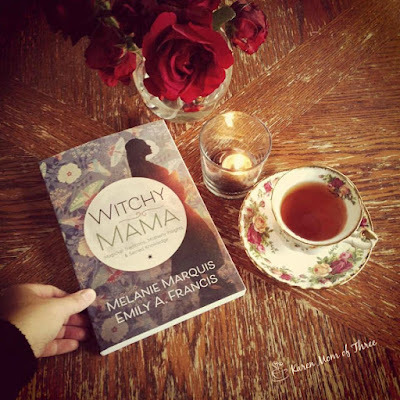 Thursday my pre ordered paper back book called Witchy Mama by Melanie Marquis and Emily A. Francis arrived, this one I have so been looking forward to having in my hands! Great reference book, parenting guide and overall cool book! This week I read 5 books which is a very good week of reading for me, having some June titles on my table early and now in my heart! This morning I have woken up to the rain Vancouver is famous for, damp cold, grey, pounding huge drops of liquid sunshine. All of that can not dampen my enthusiasm for the book on my table this morning. 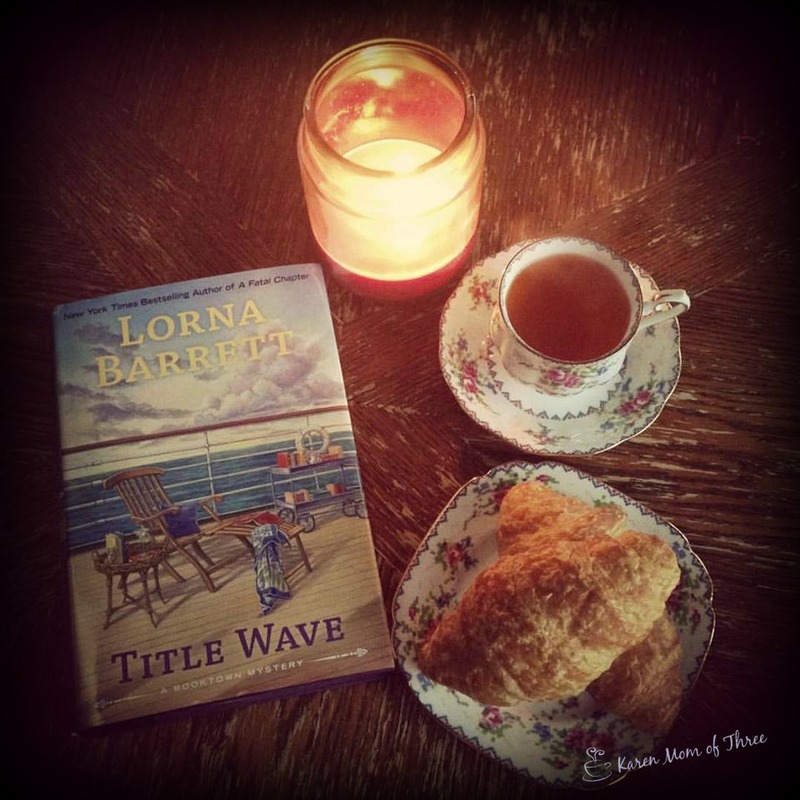 I sat down to read Title Wave by Lorna Barrett last night and read a tad past my bed time until it was done. So many reasons this series is my most favorite. I can not wait to share some of them with you in my up coming review. Title Wave is out June 14th, I have it on order from The Book Depository as well, so to find it in a shipment this week for review was completely a surprise and delight! Looks like no baseball this morning but a long list of yard sales! Good thing I am not made of sugar, it is a batten down the hatches kind of morning. Enjoy your day! 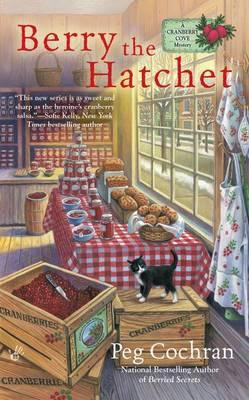 Berry The Hatchet by Peg Cochran Was Delightful! I very much enjoyed Berry The Hatchet, A Cranberry Cover Mystery. This is not a series I had heard of before and I am truly delighted to have found it. 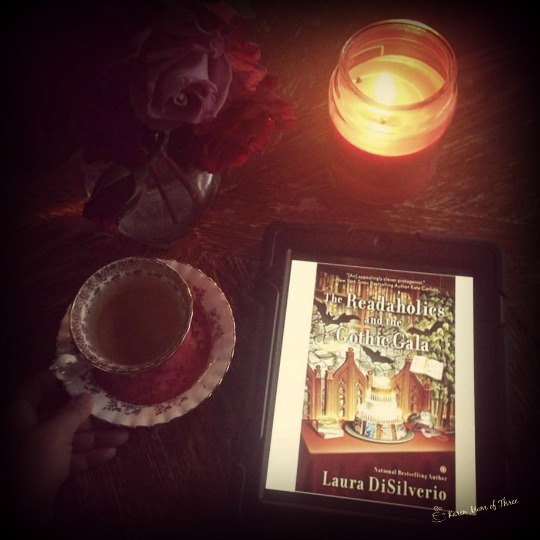 Book 2 in the series has a warm and fuzzy feeling cozy despite being set in January. 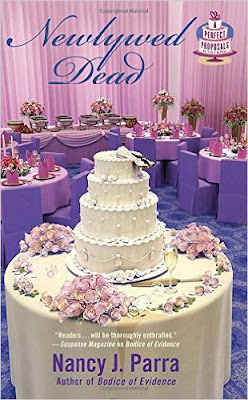 It has very personable characters and a lovely romance line to accompany the murder mystery. 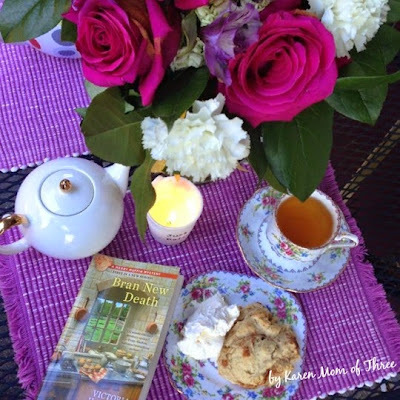 I love cranberries and the idea of a cranberry farm with daily fresh baked cranberry scones to be very appealing. Main character Monica, her brother, mother, step mother and adorable little kitten have wonderfully complicated relationships and flaws you can relate too. 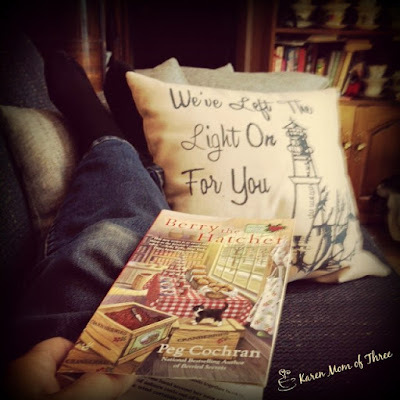 This was a great cozy to put my feet up with and sink into the couch and story with. To learn more about Peg Cochran please click here. To order your own copy of Berry The Hatched from The Book Depository with free shipping please click here. 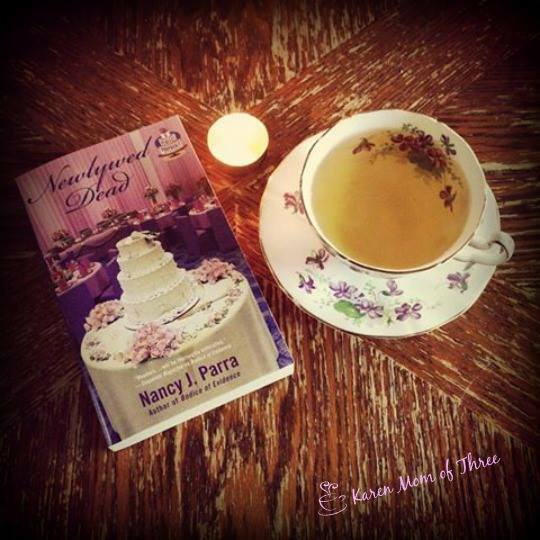 Newlywed Dead by Nancy J. Parra was a great read. I read it in one night and I was pleasantly surprised that even though I had not read the first two books in the series it was not hard to follow the story. The over the top proposals I have seen on youtube make for a really great cozy mystery job idea! Being married as long as I have now I would never have thought there was an entire industry devoted to making the Proposal an event of such scale. It does make for a really fun story line. The mystery was as intriguing as the job description of main character and proposal event co-ordinator Pepper Pomeroy. This was a fun who-dun-it, and a very good read. Learn more about Nancy and her series by clicking here. 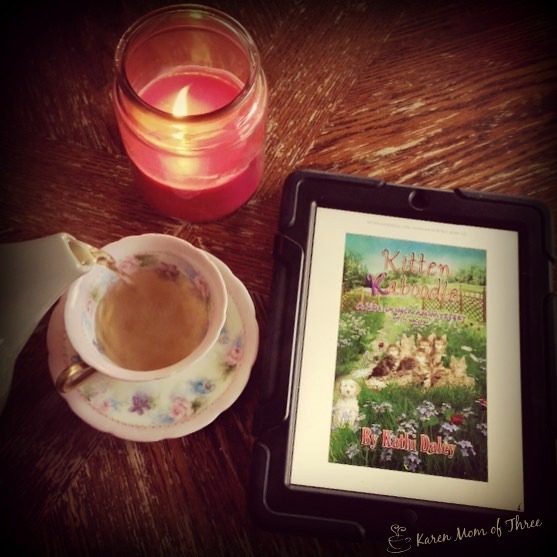 I spent the very busy last weekend (It was a long weekend here in Canada) with Kathi Daley's book Kitten Kaboodle, so nice to spend the weekend with friends. So much happens in this book and cozy town it really felt like a great weekend get away, well except for the murder and all. 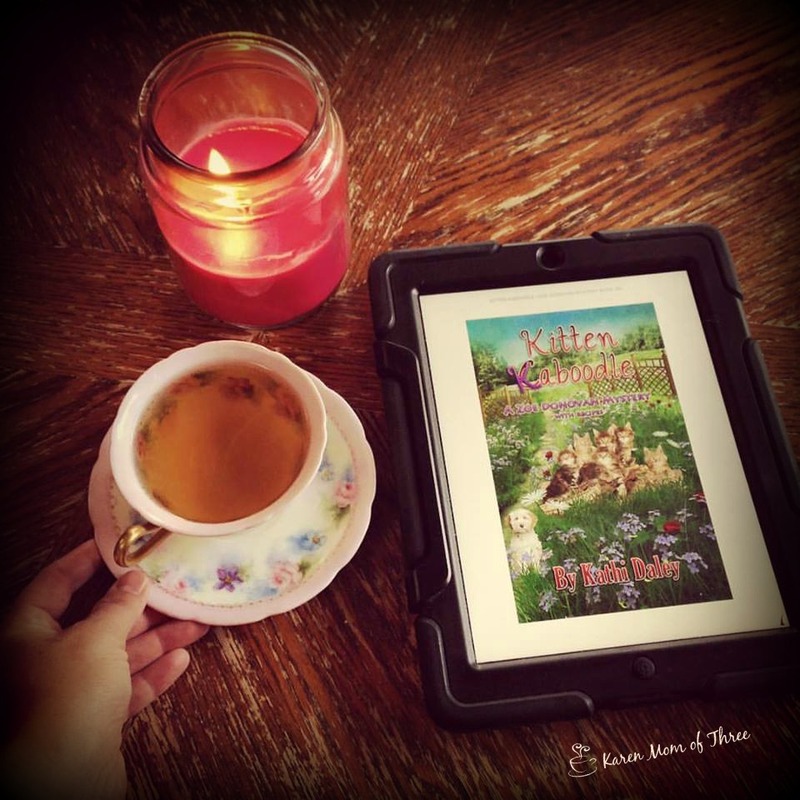 Kathi just has a way of writing that makes you feel so welcome, so comfortable and completely invested in the characters and fuzzy friends. It is such a delight to have this book on my table and now in my heart. Zak's honorary grandmother Nona decides to come to Ashton Falls for the summer. After arriving she meets and befriends an animal activist set on shutting down a kitten mill just outside of town. When the kitten mill owner is found dead on her barn floor, Nona becomes the prime suspect and Zoe sets out to prove her innocence. 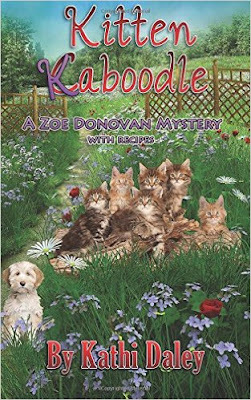 Kitten Kaboodle is chalked full of humor, surprises, and life changing events, as we discover who really framed Nona, the reason behind a visit from Zak’s mother, and Ellie’s shocking secret. I don't know how Kathi does it each and every time but some how she has the right formula and balance in each of her books that draws me in every time. Her series are delightful and the best part is there are so many stories in them you will not be with out something to read for quite a while! 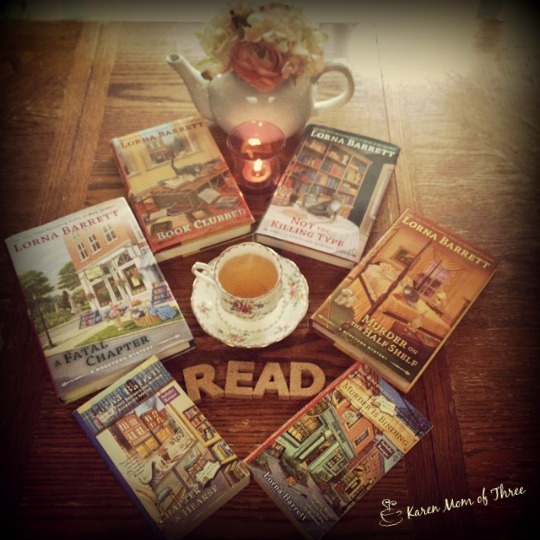 If you are looking for an established series, to keep you entertained and engaged please visit Kathi Daley's website to learn more by clicking here. To order your own copy of Kitten Kaboodle please click here. 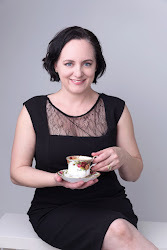 Today I am thrilled to host Lorna Barrett, author of the New York Bestselling Series A Booktown Mystery for a cup of tea and a quick chat about her most recent paperback release and up coming hardcover release of Fatal Chapter and Title Wave. I always love having Lorna's books on my table and hers is a series I splurge on and order the hardcover copies! I read Fatal Chapter last year and I loved it. I can honestly tell you that this series is one of the reasons I read and review cozy mysteries and Lorna's Booktown was the first fictional town I ever wanted to move to! 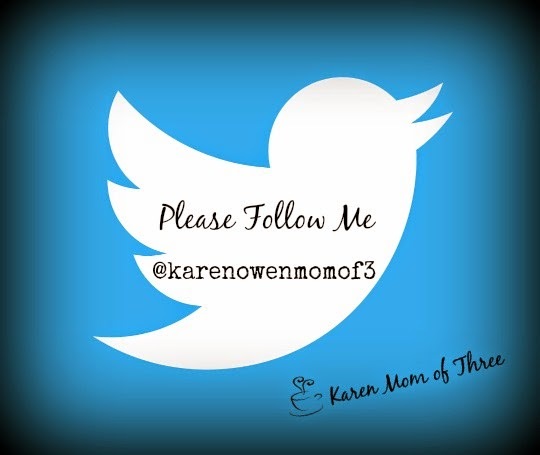 KMOT: When you are writing what sustains you, coffee, tea or something else? LB: It depends on the time of day. 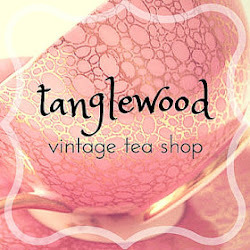 From morning up until 5 pm -- black tea (with milk)! In fact, I really don't have much variety when it comes to imbibing liquids. I drink water, tea, milk, club soda, whiskey and gin ... and that's about it. 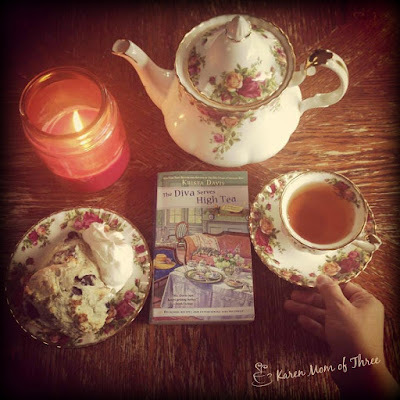 KMOT: When writing the book town series do you have a favorite place to sit or go? LB: It depends on the season. Most of Title Wave was written while in my enclosed porch overlooking my in-ground pool (also known as the money pit and the pool of death. Lots of little critters end up in the skimmers. If I see them, I rescue them. Some toads just don't get it. Some days I have to rescue the same ones over and over again.) In the winter, I'm more apt to work in my office. But since it usually looks like a warehouse with bookmarks, books, postcards (I do the mailing for the Cozy Chicks as well as my own stuff), it's not always conducive to writing. If I'm really stuck, and it's not too cold, I'll go sit in the car. For some reason, I always feel inspired when sitting in a car (or on a cruise or a train). KMOT: Sarge and Miss Marple are such important companions in the story are they based on any pets in particular? LB: Sarge isn't based on any dog in particular. I would LOVE to have a dog, but Mr. L is against the idea. I grew up with cats and dogs living under the same roof, but despite my assuring him they CAN live together in peace, he doesn't believe it. : ( I'm especially fond of Scotties and Westhighland Terriers, because those are the dogs our family always had. But I would love a Bichon Frise. Miss Marple is based on my late cat, Cori. I had her for 18 of her 20 years and she had the sweetest nature. She was a long-haired domestic cat. I don't have a lot of "good" pictures of her, so Mr. L drew her for me. She seemed the perfect pet for Tricia, and since she had gray hair, the name Miss Marple just seemed to fit. KMOT: The relationship between Trisha and Angelica has been one of my most favorite in the series. I have loved reading about how they have built up their relationships along with their business through out the books. Is there anything you would like us to know about these sisters that may not be in the books? LB:I grew up with brothers, so I really have no idea what it would be like to have a sister. I took a wild guess and wrote what I thought would be a typical sister relationship and it seems to have resonated with my readers. I've received many letters from readers telling me they have the same fierce sisterly love ... they don't always get along, but they love their sisters unconditionally. KMOT: Title Wave is the next in series out this July, what would you like readers to know about pre ordering the next mystery?LB: Pre-orders are extremely important. If there's a chance a book will hit the New York Times or USA Today bestsellers lists, it's preorders that will get the book there. That said, the paperback edition of A Fatal Chapter will be out on May 3rd. I know a lot of readers wait for the paperback to arrive, so it will be a happy day for those who've been waiting nearly a year to read it. 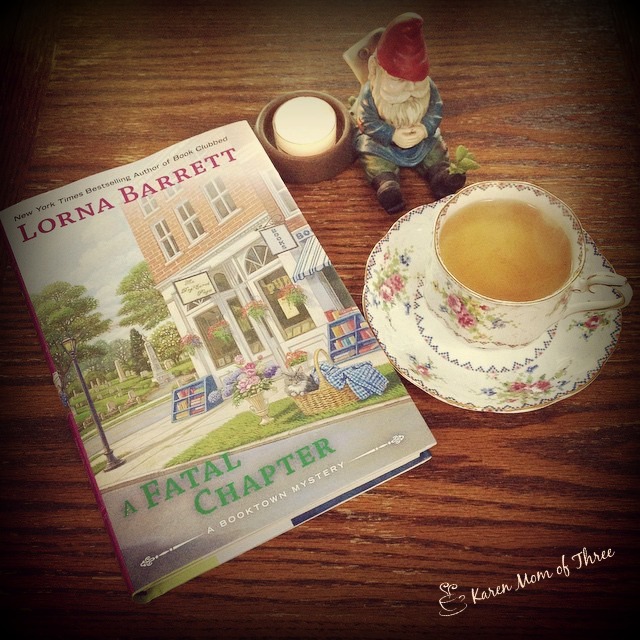 Order A Fatal Chapter, out now by clicking here. Thank you Lorna for joining us today for a cup of tea and a quick chat. I can not wait to read Title Wave and for my pre-ordered copy from The Book Depository To Arrive! 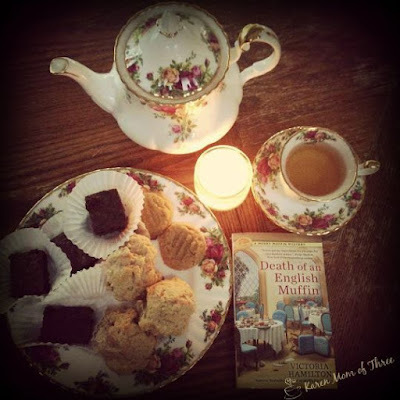 Thank you too for joining me here each and every day for A Cup of Tea and a cozy mystery. 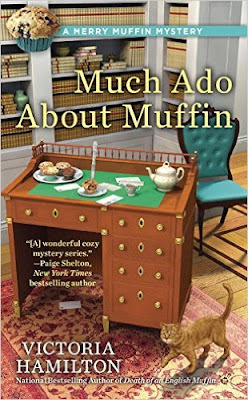 Much Ado About Muffin, Out This August by Victoria Hamilton! I am really looking forward to reading Much Ado About Muffin from Victoria Hamilton, the Merry Muffin Mystery series is one I highly recommend. The main character Merry is a very dynamic woman, with a flair for fashion, mystery and muffin making! The book is out this August and it feels like I can not wait to go visit an old friend. The series has delighted me for the last two years and I have so enjoyed having it on my table. Each title and story is well thought out and simply delicious! 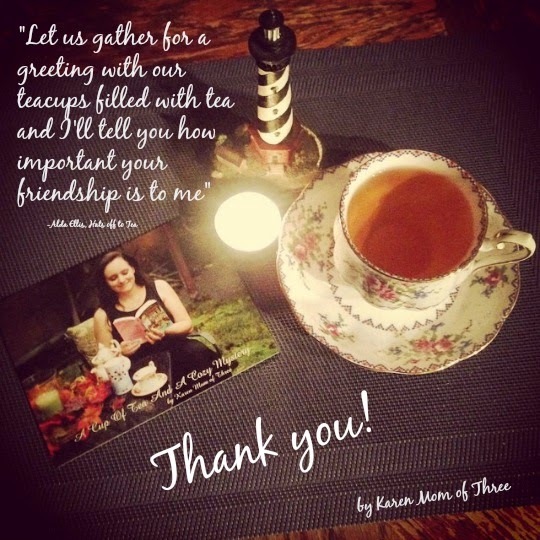 I was even surprised and thrilled to be sent the Castle house tea! and now I anxiously await the arrival of Much Ado About Muffin and hope you will catch up with the entire series and join me in reading it this summer! Click here to order your own copy and learn more about this wonderful series. Keep up and connect with Victoria on her website by clicking here. A Brilliant Idea For A Cozy And A Delicious Mystery! Laura Bradford's Eclair and Present Danger Is Fantastic! 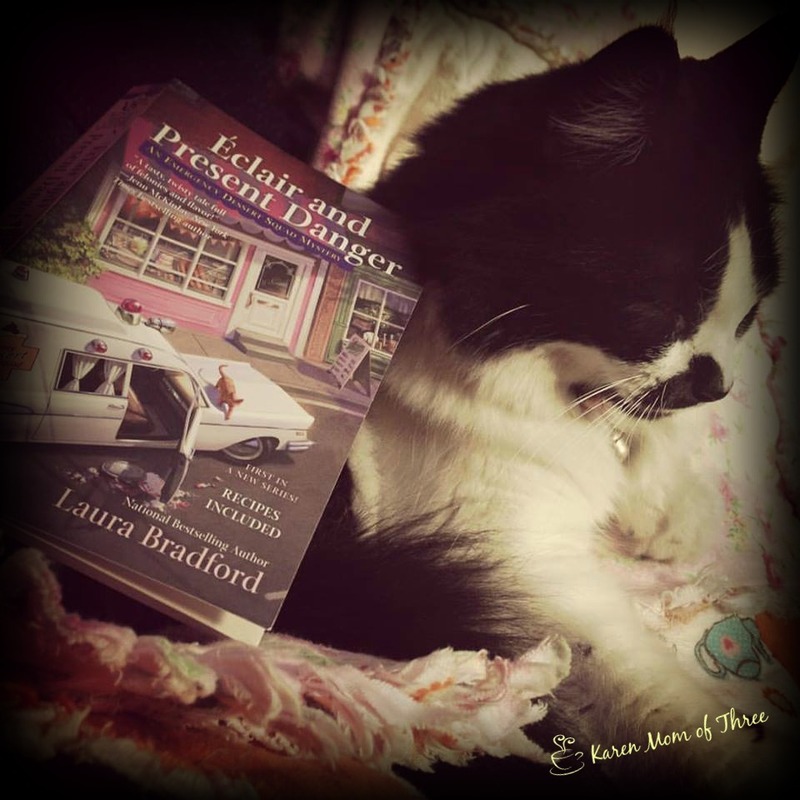 I received Eclair and Present Danger by Laura Bradford last Tuesday afternoon. It was a welcome surprise to get this June release so early! I settled in to the couch with my blanket, a warm mug of tea and Squirrel the cat. I was in for such a treat with this new first in series. 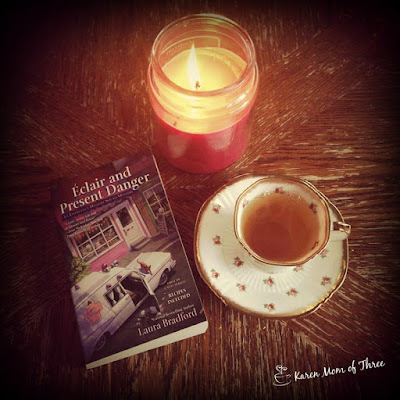 Eclair and Present Danger is a cozy with a huge heart, a fun mystery and a really great cast of characters to get to know. I immediately felt at home and apart of this story. It felt to me as if I was a resident of Serenity Lane, a neighbor to main character Winnie Johnson and her friends. The idea of a dessert delivery service that brings you tasty treats is more then brilliant and so needed! 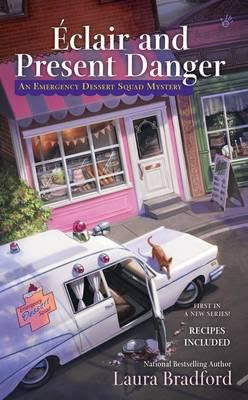 The first book in the delicious new Emergency Dessert Squad Mystery series from national bestselling author Laura Bradford. With her rent rising faster than her pie crust, bakery owner Winnie Johnson had hoped to be rescued by an inheritance from her wealthy friend and neighbor Gertrude Redenbacher. Instead all she inherits is the widow s hostile hissing tabby, Lovey, and a vintage ambulance, restored by Gertrude s late husband. 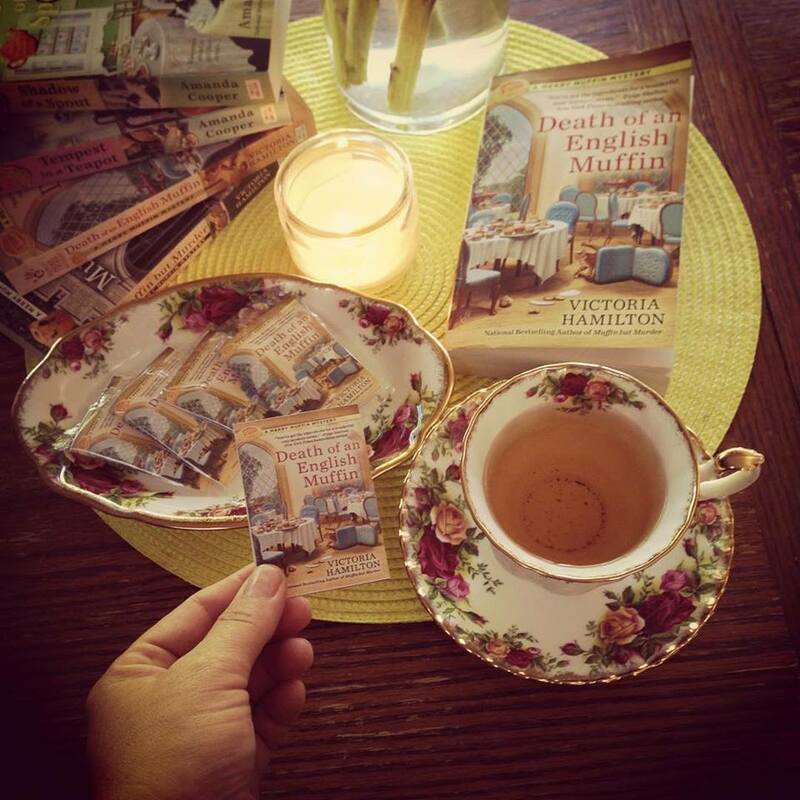 As her dream crumbles, Winnie makes her final delivery a peach pie to an elderly widower. But she finds Bart Wagner lying on his kitchen floor, smothered by a pillow. To comfort her frightened and grieving neighbors, Winnie comes to the rescue with her baked goods and an idea is born: dessert delivery via her ambulance and a new business called the Emergency Dessert Squad. 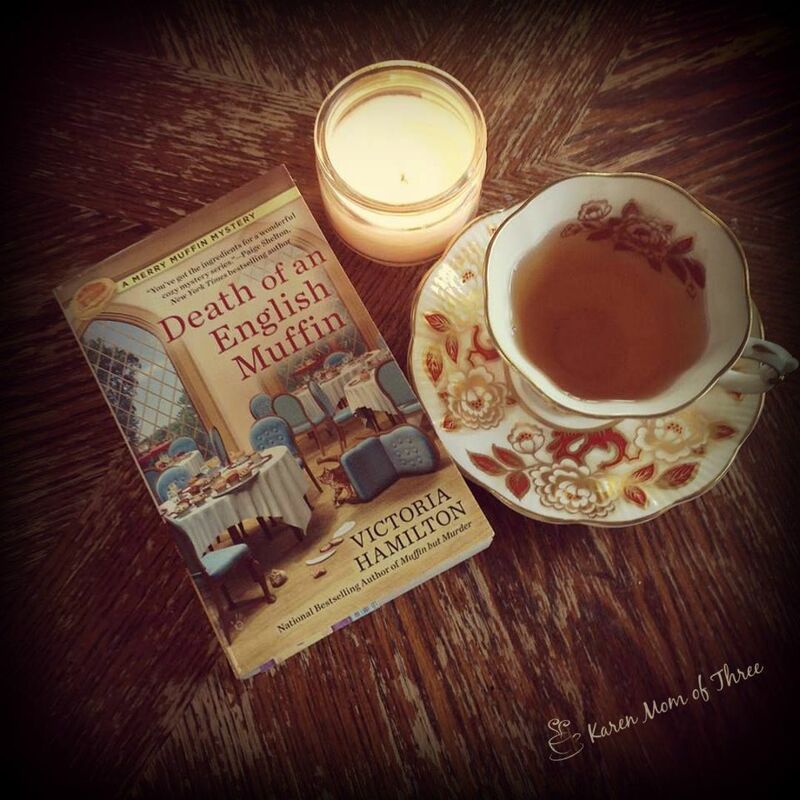 When she s not speeding to the scenes of dessert emergencies, Winnie is also racing to track down Bart s killer before she needs to call a real ambulance for the next victim..."
So often I wonder how much of an author is in their books, I feel like this one was written from such a great place and by a kindred spirit. I believe this series will become one one of my favorites and I look forward to more tasty emergency treats and visits with the gang from Serenity Lane. Pre order this wonderful cozy now for delivery on June 7th. For The Book Depository Click here. For Amazon please click here. Saturday morning as I write this, usually I do this before I go to bed but I was out last night for the Angry Birds movie for my son's birthday party, it was good to laugh and a great time had by all, we were home after 10pm and well I was to tired to think so I hope you do not mind the slight lateness in my posting. 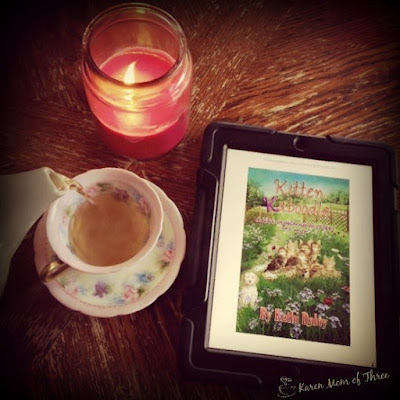 This morning I am delighted to wake up to find that I have Kathi Daley's new Kitten Kabbodle on my table to share. I now have my weekend reading set, with my mail man away this week I got zero mail! I hope he is back Monday! 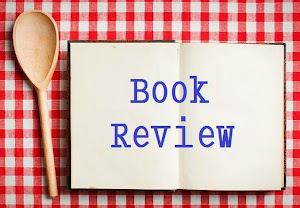 I have had some really fabulous books on my table this week and was able to review a few to share with you this week and coming up shortly. 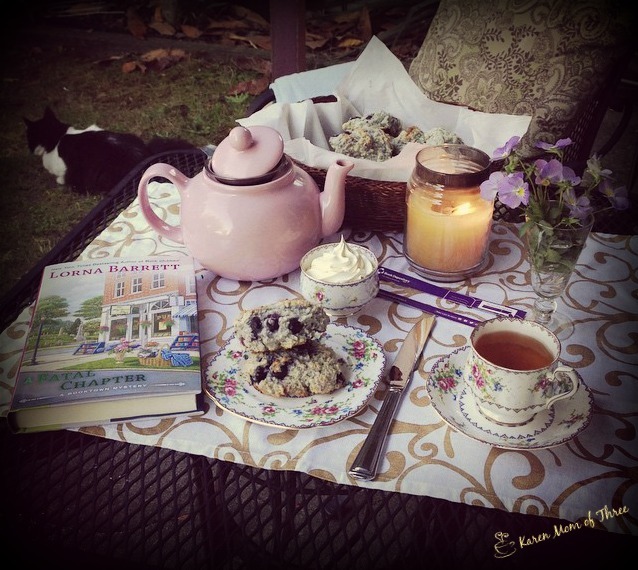 A first in a new series by Laura Bradford was nice to have on my table this week. I hope you are going to love it as much as I do! 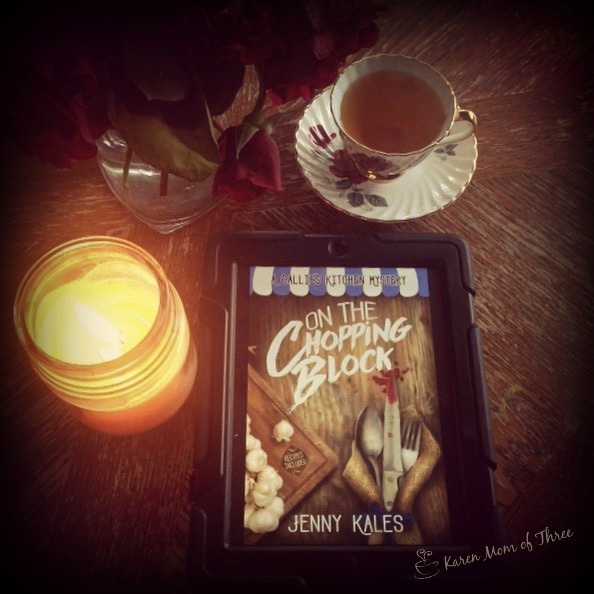 On the Chopping Block by Jenny Kales, a delightful first in series out May 2th and it has all the makings of a truly great series! On my table early as Readaholics and the Gothic Gala is not out in August. 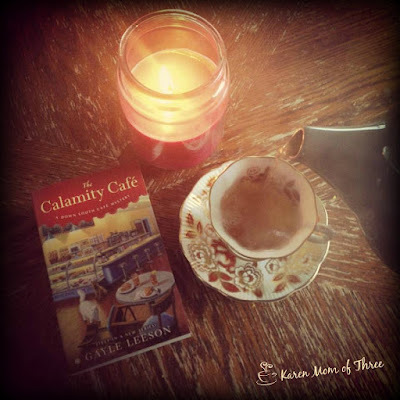 Always delightful to have a new series and a great cover on a book on the table, The Calamity Cafe has a great title and fun cover don't you think? 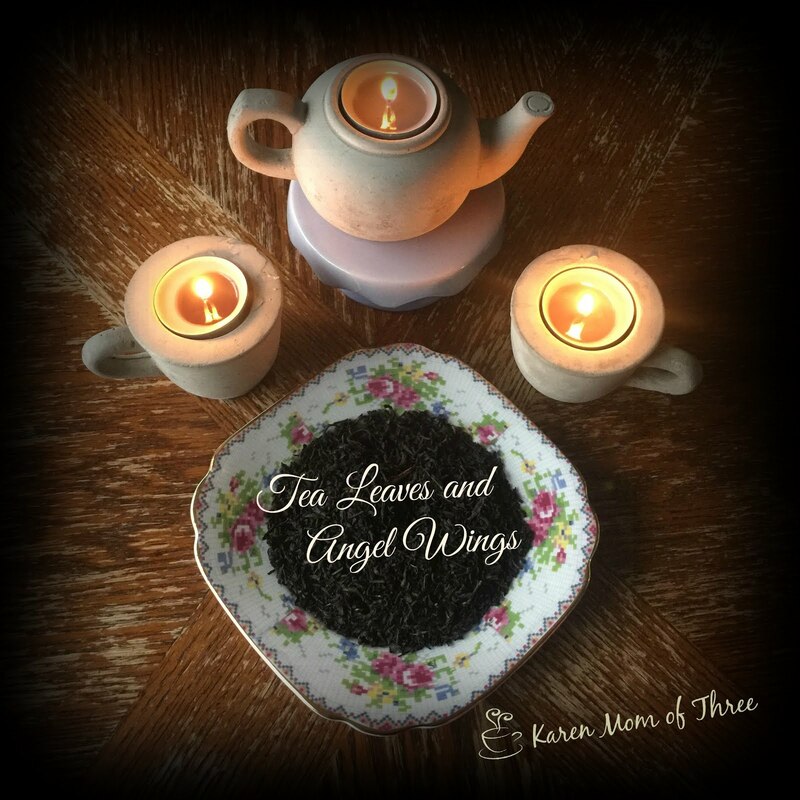 This week I have had some lovely teas on my table, this one called Monday Morning that I found and ordered on Etsy from BecauseURpriceless Etsy Shop was really a nice black tea, I found it to hit just the right spot and I even think coffee lovers would enjoy it. Well it is almost 7:30 and I best get ready for a few yard sales before baseball. Time for a quick refill before I am off and running. 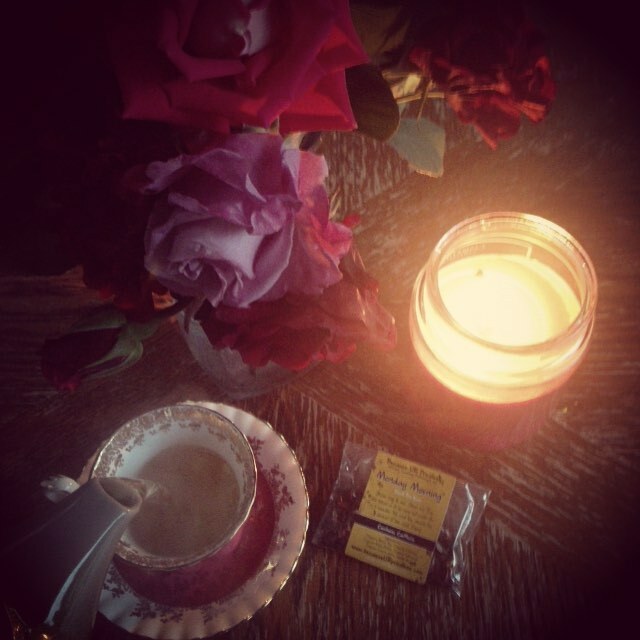 My beautiful 1940's teacup I found at last weeks sales has served me well this week. It was such a great find and is truly beautiful to use. Oh the stories I bet it could tell. Jenny Kales has a first in series out May 24th that I think you all may just love. 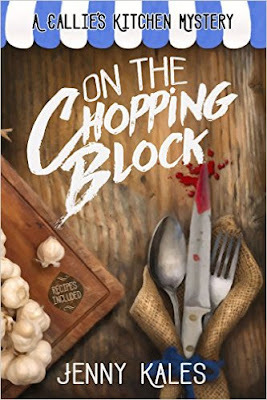 On The Chopping Block spent some time on my table this week and I am delighted to have read it. One of the things that struck me first about the character was how real and approachable she felt. I liked that she is a single mother with out a "poor me" story and one who struggles but deals with her divorce in a healthy and modern way. The mystery it's self is good one, though I was not able to figure out who the killer was in the end it should have been so clear! I love it when the author can trick me this way! Greek-American restaurateur and single mom Calliope “Callie” Costas faces Greek tragedy when a murder shakes the picturesque waterfront community of Crystal Bay, Wisconsin. Recipes included! Building a small business has been murder, but Callie Costas didn’t expect to be confronted with an actual body. The 36-year-old Greek-American proprietor of “Callie's Kitchen,” a meals-from-scratch business in an idyllic small town, has been busy creating a post-divorce life for herself, her young daughter and her Yorkie, Koukla. After a lot of hard work (including staving off her father’s continual advice), she’s got the locals and tourists clamoring for her delicious Mediterranean dishes and Midwest comfort food classics. Recently, she’s started a budding romance with a fellow foodie, the wealthy owner and chef of Crystal Bay’s most popular bistro. However, success is as fleeting as one of Wisconsin’s glorious autumn days. As local businesses begin to shut down due to a slow economy, Callie is struggling not to become another statistic. A contest with a hefty cash prize seems like the perfect chance to fix her financial woes, until a shocking murder threatens not only her livelihood – but her life. 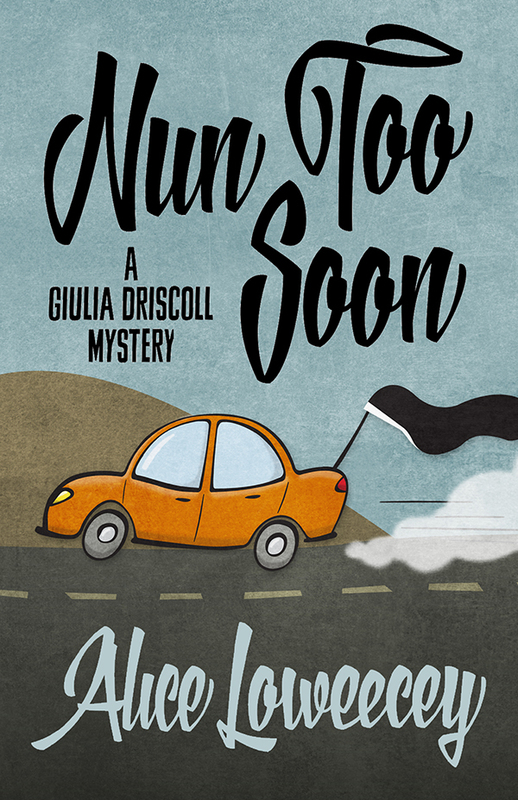 When she’s targeted as a prime suspect by an attractive expat British detective, Callie’s situation becomes more delicate than her Greek egg-lemon soup. She’s got to find the killer and fast if she wants to protect her daughter, save her business and stay alive. This book is offered on Amazon right now for download on the 24th of May and currently offered at $3.99. Learn more about this book from Amazon by clicking here. 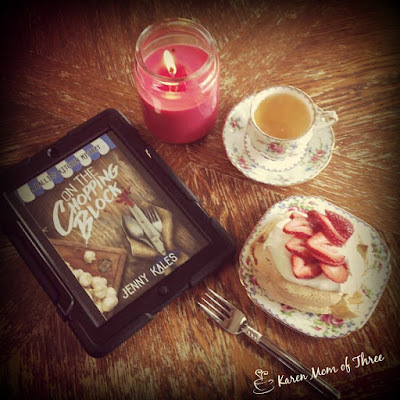 Get to know Jenny Kales , visiting her author site by clicking here. Monday Morning Tea! A Blend Just For Monday! A Cup of Tea and A Night Out For Me!